Have you seen our new Modern Petals background building stamp set? It's really cool and graphic and it has 2 fun sizes to use. Today, Nora made a really pretty card that would fit wonderfully for a graduation or wedding card. 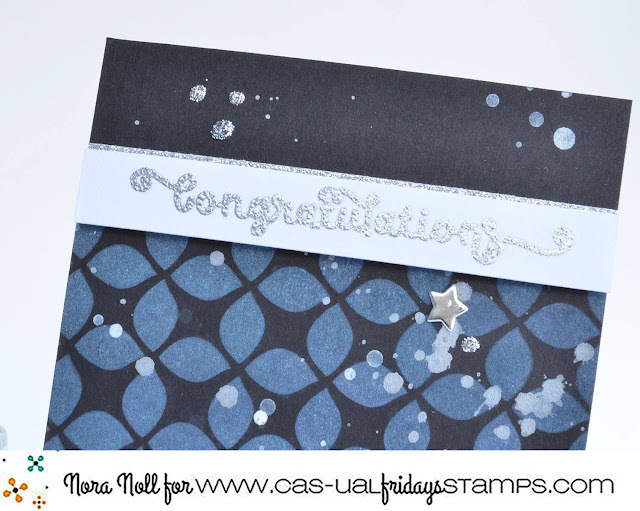 It's a nice long border stamp that you can stamp repeatedly to fill the space you need. I think the sentiment from So Pretty looks fabulous embossed in silver. 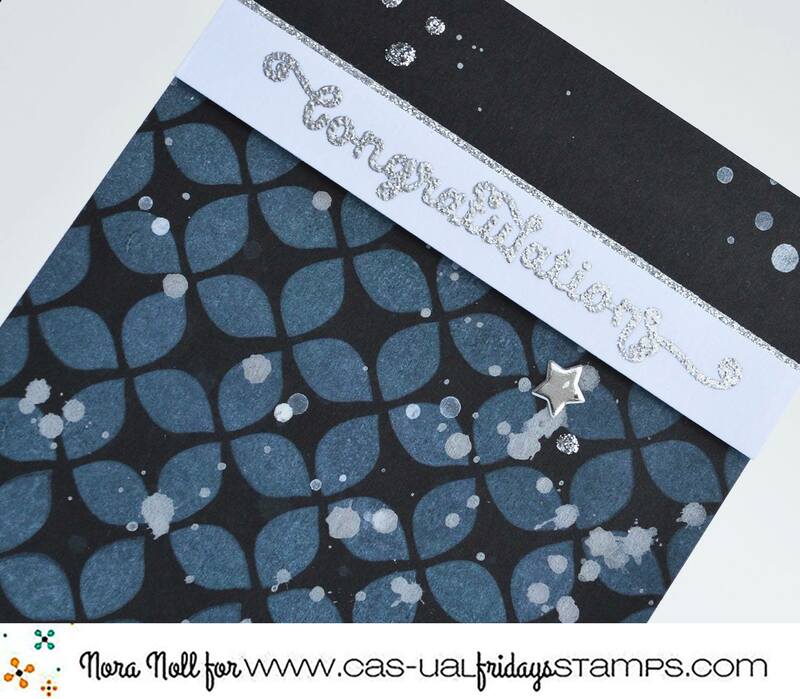 The little dabs of Stickles add just the right amount of sparkle and interest. Oh my, this is fantastic.